Bingo has been played for a really long time in a lot of different forms. Every week you can find hundreds of thousands of players in bingo halls hunched over their cards and hunting for called numbers before someone else steals their bingo. It’s a lot of fun to play bingo, and while we do prefer the online form, obviously, there is an appeal to playing it in person. But one bingo hall wants to take the popularity of playing bingo to a whole new level. Call it a marketing stunt if you want, but Mecca Bingo, a big hall in the UK, has launched a campaign to make bingo an Olympic sport. Yes, you read that right. And if you don’t believe us, believe the video! They hope to get bingo declared an Olympic sport for the 2020 Summer Games. We don’t know if they have a shot, but just in case, may we recommend getting your training started at BingoMania? Our halls have different levels of difficulty. Many players play bingo for the social aspects so they let our software handle finding the numbers and calling Bingo. But those features can be easily turned off to build up your number finding skills. When your skills get better, print off some random bingo cards off the net and turn the autoplay back on, then try finding the numbers with a dauber. Go for time and find the best routes to move the pen across the cards so you can beat your opponents. If the IOC announces official card taping rules to keep them from sliding, you’ll want to start doing that as well. As your speed gets better, you may need to start playing speed bingo. We think this is the best game for an Olympic-level event. The numbers are called pretty rapidly, requiring players to think fast on their feet and move the pen efficiently. If you can start consistently hitting the numbers in a good speed bingo game, you just might be ready to try out for the national team! If the IOC accepts the bid, of course. Your turn, do you think Bingo Should be an Olympic Sport? 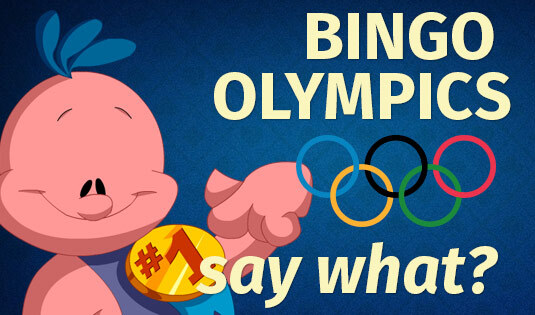 Let us know in the comment box below if you think bingo should be part of the Olympics? 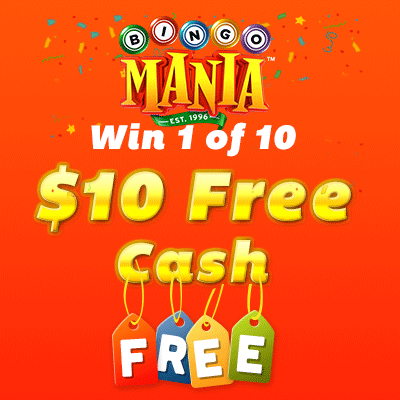 and on Monday, April 25th 8pm ET, we will randomly select 10 players and award you $10 free cash.